As technology approaches to miniaturization and multiple devices merge into a single one, so why home cleaning appliances stay behind in the advancements. 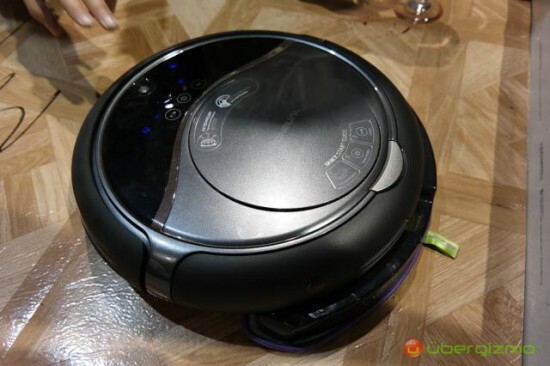 Therefore, Moneual going to introduce a dual purpose robot Rydis H68 which will be the sequel of H67. The first show of the Rydis H68 can be seen at the CES 2014. The appliance more or less equal weight and dimensions like its predecessor but has extra features. You can perform mopping and sweeping simultaneously with the H68 or you can choose either one of the function. Thanks to its 42 omnidirectional sensors and Smart Vision it first scan the room to determine the best routes to cover the room for cleaning. It is capable to capture up to 0.3 micron particles using its microfiber technology. According to the venders, H68 will be able to hold enough amount of cleaning agent which is the largest in the market. Hopefully more features to be revealed at the CES or even if you like it you can grab this Rydis H68 during this spring season.